Redwood Shores, Calif. – April 7, 2015 – NetEase, Inc. (NTES) today announced that closed Beta signups are now being accepted for its first mobile game to be released in the West, Speedy Ninja. Starting April 8, 2015, Android users who have signed up for the Google Play Beta Group and been accepted into the program will be among the first to get their hands on the game prior to launch. While the Speedy Ninja closed Beta will only be available to Android users through Google Play, the game will roll out to Western territories for iPhone, iPad, and iPod Touch as a free* download this summer. Players who sign up and are accepted into the closed Beta program will get exclusive early access to the game and an opportunity to influence final development decisions prior to its Western launch. Beta testers will also be rewarded for their time, earning premium in-game currency during the program and potentially accumulating even more rewards for the official launch. To enroll in the Speedy Ninja Closed Beta program, join the Google Play Beta Group or visit the NetEase Google+ Page. 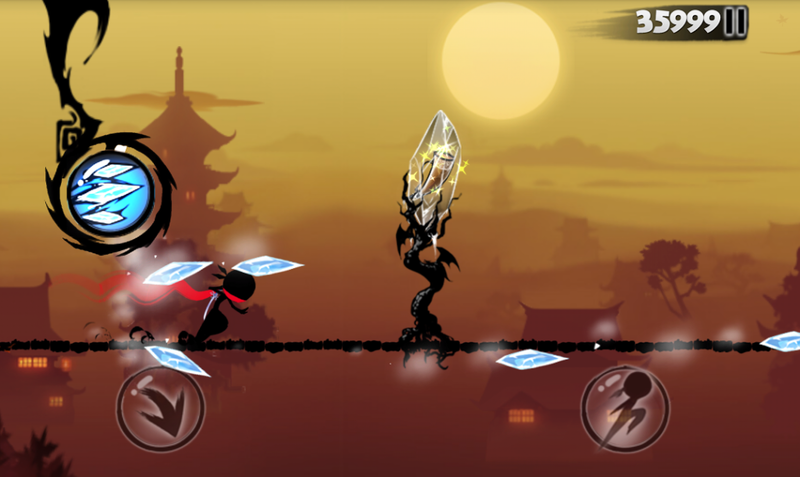 A sequel to the critically-acclaimed Ninja Must Die, originally launched in China, Speedy Ninja is a new twist on the endless runner genre with an Asian calligraphy art style and competitive game mechanics. The acrobatic adventure features a robust leaderboard players can climb by completing daily missions. The ability to control a colorful cast of characters, collect battle gear, and summon mystical monsters transcends the reflex-testing game into a pulse-racing, strategic challenge. For more information about NetEase North American division, please visit www.netease-na.com, join us on Facebook: www.facebook.com/NetEaseOfficial, Google+: https://plus.google.com/112054978032122295124/about or follow us on Twitter: www.twitter.com/NetEaseOfficial. NetEase, Inc. (NASDAQ: NTES) is a leading Internet technology and video game company headquartered in China. With a breadth of experience in content creation and sharing, NetEase develops and operates some of China’s most popular online games (including World of Warcraft®, Hearthstone®: Heroes of Warcraft™, StarCraft® II, Heroes of the Storm™ and Diablo®III), e-mail services, advertising services, mobile applications and games, and web portals. The company has recently established a US office, with plans to expand their offerings by releasing mobile games for Western audiences. For more information, please visit: http://ir.netease.com/.